Jim’s ability to establish rapport immediately as well as his enthusiasm and genuine passion for the gospel make for an engaging experience for every audience. His own sense of self and his spiritual quotient serve to open up the minds and hearts of his listeners. What further separates Jim from the crowd is his ability to relate to his audiences through his considerable musical talent. 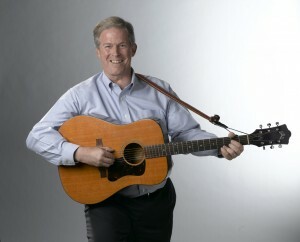 Jim is an accomplished guitarist and singer. His musical interludes serve to solidify the concepts presented. His experience in the educational, business and the Religious worlds have him firmly grounded in the real world. Jim is married and the father of three grown children. Back in the year 2000 Jim decided to give back to his community by volunteering in his local prison system, teaching a course in personal development. The first thing every Monday morning, Jim brings his positive, yet realistic message to a group of 20-30 men and a group of 15-20 women at the DWI Alternative Facility in Suffolk County, NY. He has hardly missed a Monday in the last nineteen years. His experience there spurred him to bring his message to the public. He started by giving talks in local libraries and his path has brought him to venues all over America. Jim is a former Irish Christian Brother who spent six years in religious life. Those years serve as the spiritual foundation that has carried Jim through his life. Several years ago, one of Jim’s classmates heard one of his talks. He remarked how close the message was to Christ’s teachings. He suggested that Jim weave the gospel message into his programs and deliver his talks in churches. Jim took his advice and began giving his retreats, at first in the Brooklyn Diocese back in 2013. His original focus was there, giving a dozen or so retreats before taking his message to the Long Island parishes. Jim is sought after to facilitate Lenten Retreats, Advent Retreats and Days of Recollection. 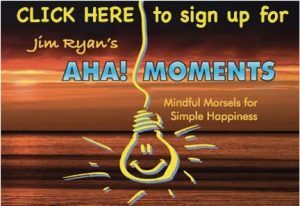 Simple Happiness, 52 Easy Ways to Lighten Up, Jim’s inspirational book has met with rave reviews and has served as a blueprint for living a life of joy and fulfillment. It has been read and reread by tens of thousands both in the USA and around the world.